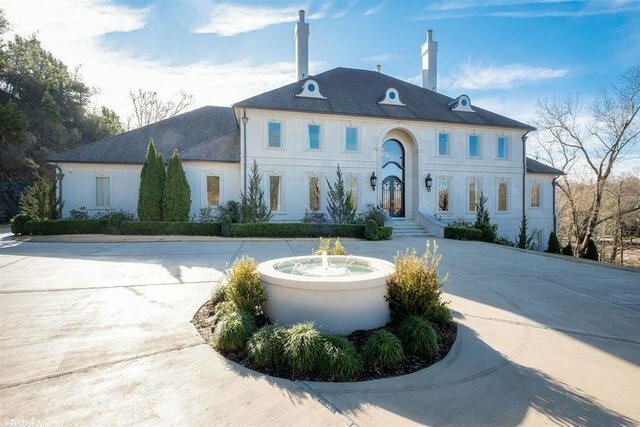 Rare 5.5 acre estate on Lakewood Lake. Precast stone, gated with 2 private docks. Salt water pool, waterfall, grotto,, outdoor kitchen and veranda for entertainment. Coffered ceiling library, site finished hardwoods, 2 laundry rooms, mud room, cozy hearth room and theater. Chef's kitchen, subzero, 2 Bosch dishwashers, Wolf 6 burner, Advantium oven, granite and island. Indoor basketball court, batting cage, safe room, wine cellar, sauna, gym and elevator. $400K improvements since 2016.